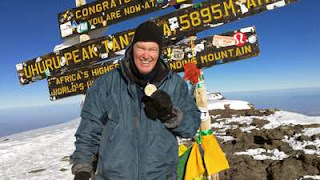 On Friday morning, February 25, 2011, friends Gerd Altmutter, George Bertram, Ed Brolley, Tom Gurtner, Jim Jacobs, Alex Shklovski, Franz Viehbock, Bob Wachtler, and I reached the summit of Kilimanjaro at 19,340 feet (5,895 meters). I could never wish for a greater group of hiking buddies. Our saga actually began four and a half years earlier. 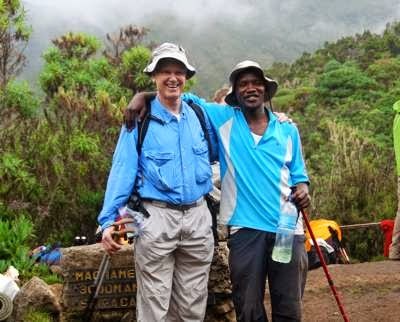 During a Kilimanjaro hike in 2006, I bonded with porter Caspar, and Bob Wachtler bonded with porter Hiliary. The porters work incredibly hard carrying a maximum of 44 pounds up very difficult trails, sometimes scrambling up rocks with hands and feet while balancing the loads on their heads. Bob, much more observant than I, sensed Hiliary had potential and asked me to help put him through Guide Training School. I thought it was a crap shoot not knowing if he was even attending school with the money we were sending him. Turns out he graduated and became a guide. Last week he showed us his diploma and course grades, along with his overwhelming gratitude. It’s a great success story. Four years ago he had a dismal future, was despondent and the unmarried father of a young girl. Now he has a bright future and engaged to be married. He invited Bob for dinner prepared by his grateful mother on the Sunday night before Bob flew home. In 2006, Caspar seemed focused with his life in order. He was 25, had four siblings, and was responsible for raising his 12 year old younger brother. He was appreciative of the respect our group showed him, commenting that porters are at a low level in the cast system. I always made a point of telling him he was my hero with his amazing strength and abilities. Leaving Kilimanjaro in 2006, I gave Caspar my rather expensive sleeping bag (good to -20 degrees) and some other hiking equipment and clothing. We kept in touch with monthly emails as pen pals. I found him to be very intelligent, educated, and well versed in U.S. politics and events in Kenya and Tanzania. Off the mountain, I noticed he was frequently reading the newspaper. He believes Tanzania’s economic progress is severely hampered by monumental corruption and nepotism in the Tanzanian government. Caspar fell on hard times when the economic crash of 2008 depleted the hiking tourists going to Kilimanjaro. He never asked me for financial assistance, but I knew of the drop off in Kilimanjaro tourists and sensed he was out of work. In hindsight I learned he was selling possessions to keep his younger brother in school. Primary school tuition was eliminated in Tanzania in 2002, but the families still have to pay for uniforms, testing fees, school supplies and school lunches. The year was 2008, two years after I last saw Caspar. I stopped by Federal Express on a serendipitous whim, put $300 cash in a FedEx envelope and sent it to Caspar’s address in Moshi, Tanzania. I notified him by email to look for a present in the mail. He sent back an email that he suddenly felt like a very important person to receive a message from Federal Express that they were sending a special currier to his house with a delivery. Shortly after that, I received the most appreciative email imaginable. In financial desperation, Caspar had pulled his younger brother out of school just 3 days before the delivery. Caspar is a devout Christian and he truly believes the gift was from Divine intervention. As he wrote the email he said his younger brother was getting dressed for school. His brother is now 17 and an accomplished student in high school. Caspar obtained his hiking guide license on his own from his apprenticeship as a porter and other resources. He has become successful as one of the best, if not the best, guides on Kilimanjaro at the very young age of 29. I specifically requested Caspar to be our head guide while making arrangements for the 2011 hike – and Bob and I requested Hiliary to be a guide as well. The difference between our 2006 trip and the current trip would fill chapters. This time, we had 9 for 9 reaching the top. Not by accident. We were better prepared with rigorous training hikes. Our favorite is to hike with 20 and 30 something kids. But the other major factor was the coaching and guidance from Caspar and Hiliary during the hike. The success rate to the top of Kilimanjaro in 2006 was around 30%. Anyone with the slightest ailment was encouraged or badgered to turn around. Success to the top was achieved in spite of the guides, not with the help of the guides. The head guide we had in 2006 was in his 60’s. Not that there is anything wrong with that… he was just ready to retire and had no passion to get us all to the top. Caspar represents the new hiking guide model and the new success rate well over 70%. It is achieved with preparation, science, technique, encouragement, and the mindset of an athletic coach. The first day, we were encouraged to hike “pole, pole” – Swahili for “slowly, slowly”. Although we went from 6,000 feet to 10,000 feet, it was a very easy walk spread out over six hours. 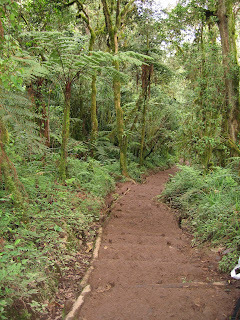 The main achievement was getting above the African mosquitoes. Those little buggers loaded with malaria Plasmodia flap their wings as hard as they can, but they just can’t get up to 10,000 feet. The second day we had a challenging hike up and down steep trails to the Shira campsite at 13,000 feet. The new science of high altitude hiking is to hike during the day at a higher elevation than sleeping at night. 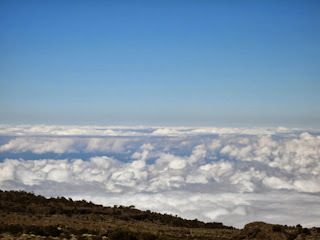 So, when we arrived at the camp, Casper said we could rest an hour and then we were up the side of the mountain 1,200 feet higher for an hour and a half, then back down to the Shira camp. None of this was in the brochure and it certainly was not part of the regiment in 2006. My former porter pen pal was now our Chief Guide Drill Sergeant. The third day we made a difficult eight hour hike up to 15,000 feet at the Lava Tower landmark and then back down to 13,000 feet arriving at the Baranco camp. This route for the day fit the “hike high, sleep low” formula. 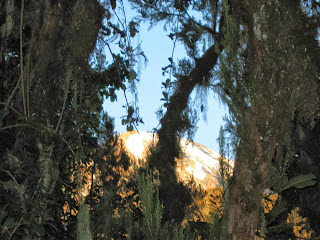 The fourth day we had the challenging hike up the infamous “Baranco Wall” and continued on to the Karanga campsite at 13,000 feet. Caspar was at it again. 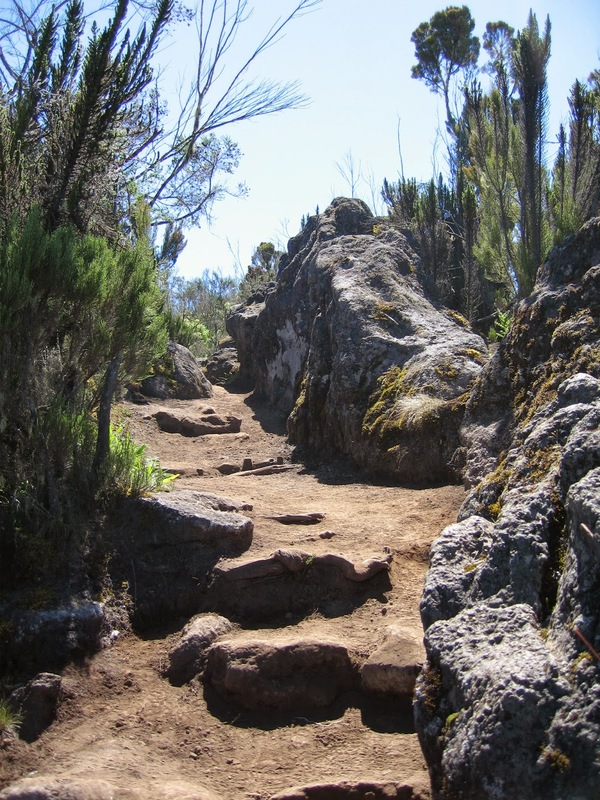 After a short rest, we were back on the trail up to a higher altitude for acclimation and then back down to Karanga for the night. All nine of us had complete faith in Caspar, his passion to get all of us to the top, and we followed him and Hiliary like raw recruits. 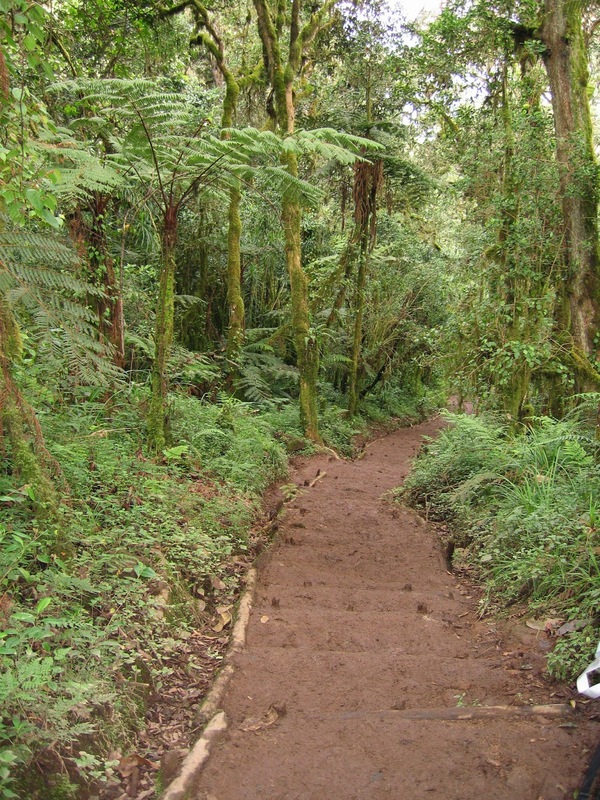 The fifth day on the Machame trail has always been touted as a day of rest. 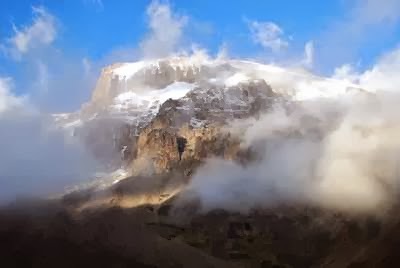 A short three hour steep hike to the 15,200 foot Barafu base camp – the staging camp for the summit assault – and then the remainder of the day resting for the night climb to 19,340 feet. Not anymore. The “hike high, sleep low” took care of that. 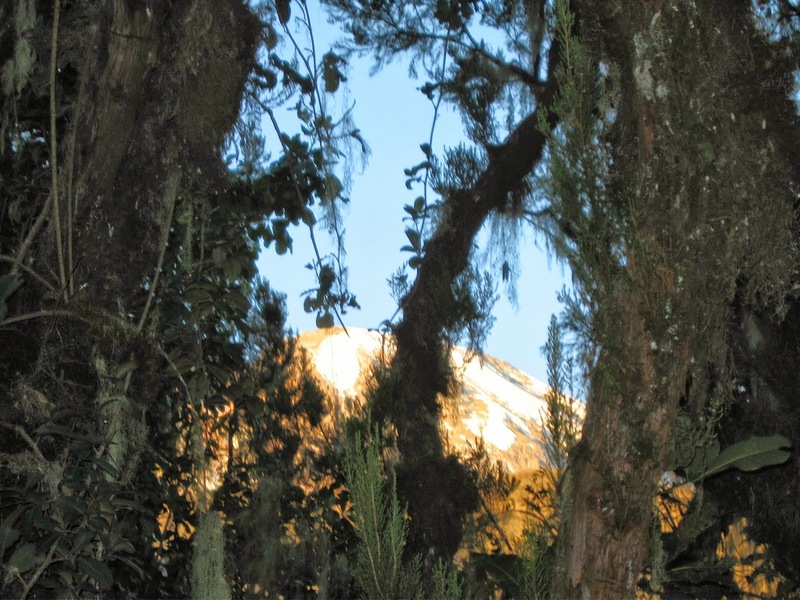 We arrived at Barafu around noon and then continued up the trail past 16,000 feet, then back down for rest and preparation for the summit assault starting at 11 pm. 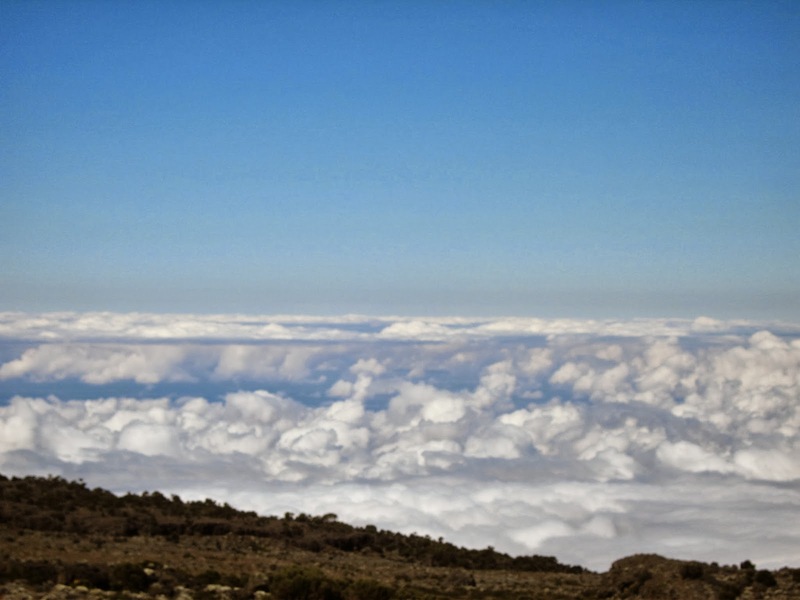 Another part of the new science and technique is the guides’ ability to distinguish between High Altitude Sickness and the potentially deadly High-altitude Pulmonary Edema (HAPE) and High-altitude Cerebral Edema (HACE). Puking along the side of the trail with High Altitude Mountain Sickness is just part of the sport. If your tummy doesn’t feel good, just throw up and stay in the game. The nausea can be severe and somewhat debilitating, but it is not life threatening. However, HAPE and HACE are obviously very serious. The symptoms include extreme fatigue, coughing up blood, inability to move or breathe properly, severe headache, etc. Death occurs from swelling of the brain or drowning as the lungs fill with fluid. The guides can diagnose HAPE and HACE and the treatment is immediate descent and a stay in the hospital for at least three days of observation to make sure the brain clicks back on and the fluid from the pulmonary edema dissipates without developing into pneumonia. Taking Diamox as a diuretic helps to prevent pulmonary edema by eliminating fluid from the body – basically, you piss like a race horse. Laraine noted lots of questions during our hike: All of the food, tents, and cooking equipment are carried up by porters. Our group of 9 hikers had 34 porters. The porters carry what they need as well as 25 pounds of clothing and personal items for each hiker. The hikers are responsible to carry the rest of their stuff and water which usually weighs in around 17 pounds. There are no campfires allowed on the mountain and all the cooking is fueled by propane. Drinking water from the streams was boiled. High altitude cooking requires a pressure pot or extended time because water boils at a lower temperature. We were above the tree line on the second day. We were not allowed to hike on the glaciers, but there is plenty of room to hike between them to the top. The total length of the hike with the new regime of “hike high, sleep low” is about 60 miles. The porters are Christian and Muslim and they seem to get along just fine. The porters earn about $5 a day. Most of their earnings are from tips from the hikers. Our group of 9 tipped the porters, cooks, and guides a total of $4,680. They were very appreciative and I can say candidly they earned it. 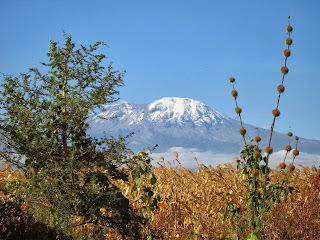 Kilimanjaro this year was extra special. I had the privilege of taking the gold Medallion of the President of the Academy of Prosthodontics to the summit for a photo op. The irreplaceable Medallion has five decades of tradition in an Academy approaching its Centennial celebration. It is in my trust for one year. I didn’t tell anyone about this because the Medallion has six ounces of gold in a country where people have meager wages. I had complete trust in Caspar and Hiliary, but there were 34 porters whom I had never met before and this was not something to announce in a Third World country. The very same porters who would risk life and limb to save one of the hikers down a cliff may be desperate to feed a family and hard pressed to turn away a life’s earnings in gold. I literally slept with the Medallion and never took it off my person in eleven days. Fortunately, the Medallion can be steamed cleaned at home along with me. Hiking up a 46% grade on scree at 19,000 feet might affect the ability to think clearly. However, I found the opposite. After five days of hiking, the feet are on autopilot. The brutal eight hour assault at night from 15,200 feet to 19,340 feet leaves plenty of time for thinking in solitude. I thought about Laraine, how blessed I am to have her as a soul mate – the kids, the family, our wonderful friends, and the truly great people in my life who have passed. Found inspiration from my favorite composers – Rachmaninoff, Gershwin, Beethoven. The insight of Kipling and my favorite part of his poem “If”.